SD9/SD40 pistols answer personal and home protection needs. SPRINGFIELD, Mass. (May 12, 2010) --- Smith & Wesson Corp., the legendary 158-year old firearms maker, announced that the company has unveiled a new line of firearms designed to assist with personal and home protection needs â€“ the Smith & Wesson Self Defense (SD) Series. Chambered in 9mm and .40 S&W, the Smith & Wesson SD9 and SD40 semi-automatic pistols offer a variety of features requested by individuals for use at home and for personal defense applications. 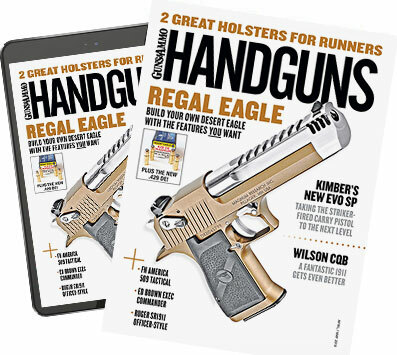 "The new SD9 and SD40 pistols combine the best of both price and functionality in a reliable, ergonomic firearm engineered with one specific goal in mind â€“ self defense," said Tom Kelly Vice President of Marketing for Smith & Wesson. "Each year thousands of people across the United States set out to find a firearm for home defense purposes that meets their requirements in terms of dependability, accuracy, comfort and value. With the introduction of the new Self Defense Series, we have addressed each of these criteria while also providing the peace of mind long associated with the Smith & Wesson name." Manufactured with a lightweight polymer frame, the striker fired SD9 and SD40 feature a stainless steel slide and 4-inch barrel. Both pistols are standard with a black Melonite finish that helps to reduce unwanted glare while yielding a surface hardness of 68 on the Rockwell scale. Among the key features found on the Smith & Wesson SD9 and SD40 is the new Self Defense Trigger (SDT). Providing a smooth, consistent trigger pull from the first round to the last, the SDT design not only improves accuracy but also provides users with a heightened sense of confidence during the most stressful situations. To help aid in precise shot placement and quick sight alignment when it matters the most, the SD9 and SD40 pistols feature an easily visible tritium front night sight and a steel, white two-dot rear sight. For improved firearm control, the SD pistol has been fitted with an 18° slim, ergonomic grip with aggressive front and back strap texturing. The Smith & Wesson SD9 and SD40 are also standard with distinctive front and rear slide serrations that enable convenient and comfortable manipulation of the slide. Underneath the barrel, a universal Picatinny-style equipment rail is standard for optional tactical lights, lasers and other popular accessories. The Smith & Wesson SD9 and SD40 have also been built with a textured finger locator, which is placed directly above the trigger guard on the left and right side of the frame. The SD9 is available with either a 16+1 or 10+1 round capacity while the SD40 is standard with either a 14+1 or 10+1 magazine capacity. Both pistols have an unloaded weight of 22.7 ounces and a slender width of 1.29 inches. The SD9 and SD40 are supplied with two magazines and the Smith & Wesson lifetime service policy is standard with each pistol. The SD9 and SD40 will have a suggested retail price of $429.